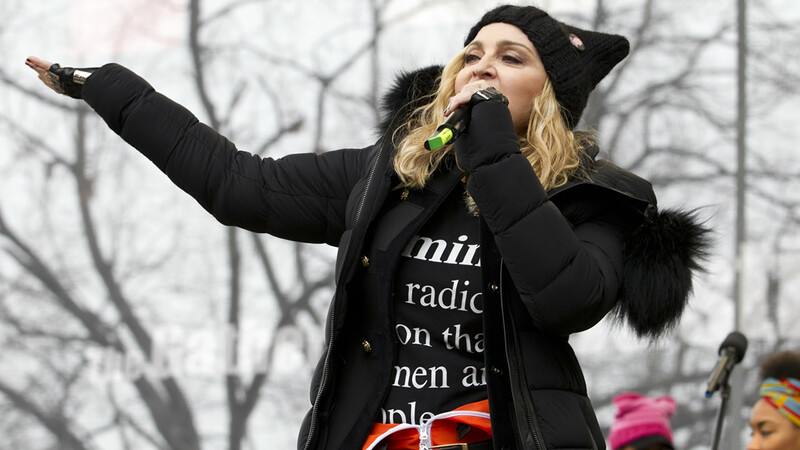 WASHINGTON -- Madonna is defending her fiery, expletive-laden speech at the women's march, saying her words were "taken wildly out of context." PHOTOS: Women's March on Washington, D.C. The singer said at the Washington, D.C., march Saturday that she had at times been angry after the election and had thought "an awful lot about blowing up the White House." In a statement Sunday on Instagram, Madonna said she was trying to express there are two ways to respond to Donald Trump's election: with hope or with outrage. She said she hopes to effect change "with love." Madonna wrote that she doesn't promote violence and people should listen to her speech "in its entirety rather than one phrase taken wildly out of context." Cable news networks broadcasting her speech cut away after Madonna used several expletives. MSNBC later apologized.